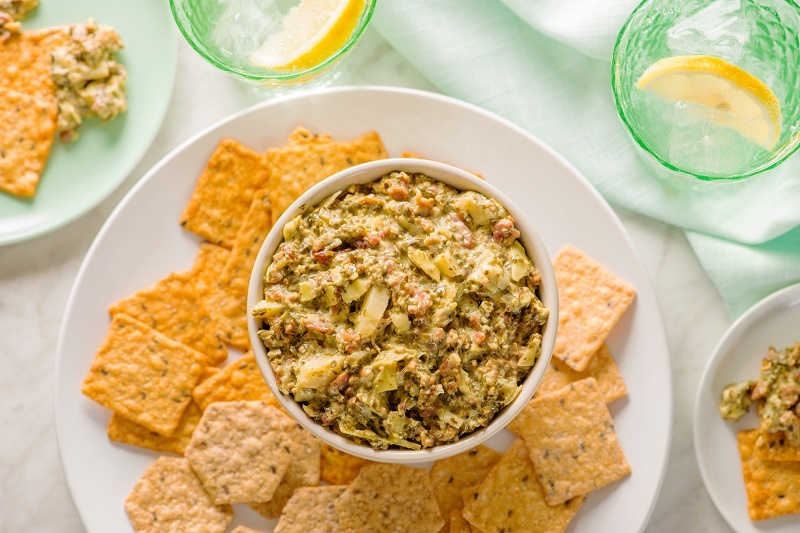 In a small bowl, mix together the pesto, bacon bits and chopped artichoke. Add in the heavy cream. Mix again until smooth and well blended. Transfer to serving dish and serve with your favorite Crunchmaster® Original Multi-Seed or Sea Salt Multi-Grain Crackers.